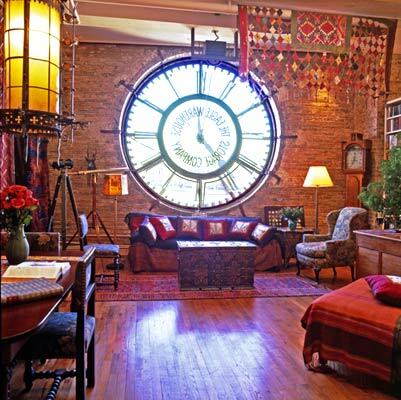 North Coast Imports, Inc.: Why Not Live in a Clock?? Why Not Live in a Clock?? From architect Michael R Davis' website: The The Clock on Old Fulton Street in Brooklyn Heights is a 1,200 square foot loft located in an Italianate storage building built in 1892 on the site of the Brooklyn Eagle Newspaper once edited by Walt Whitman. The most obviously striking feature in the apartment is the 10-foot glass and iron clock face, which serves as the living room window. At Long Last... the Zaandams are here!